Professional, Fast and Affordable Appliance Repair in Sunnyvale! 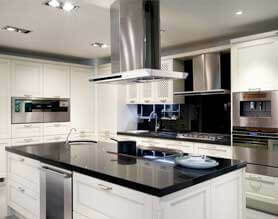 Our company does professional appliance repair in Sunnyvale! That includes all the household appliances such as washers and dryers as well as kitchen appliances such as refrigerators dishwashers, stoves, ranges, ovens, steam ovens, microwaves, etc. There is not a single appliance in your kitchen that we can not fix. There is no project too big or too small for us! With more than 30 years of hands-on experience, we are a company that you can trust. Besides being one of the top specialists in the field of appliance repair in Sunnyvale, we are also proud to offer some of the best customer services to our clients. We strive to make every appliance repair in Sunnyvale service appointment as convenient for your as possible. We offer free and accurate over the phone estimate. We make same day appointments if necessary. All of our technicians are polite, diligent and helpful to our customers. They work fast, and they always clean up after themselves. Tell us how we can make this appointment as convenient as possible for you. For appliance repair in Sunnyvale give us a call or fill out this short contact form and we will get back to you right away. We will make a conveniently timed appointment for you and offer you our accurate estimate. 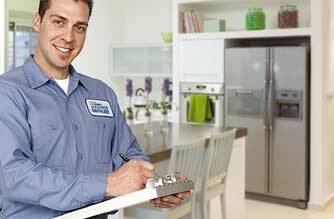 Before you know it, our professional appliance repair technician will be on his way to you. He will carry in his truck not only the tools necessary but also all the parts that we estimate will be needed for the project. We always try to be prepared for any job, because this saves our customers time. At the end of our appointment, you appliances will be working great! We are number one appliance repair in Sunnyvale specialists! Why pick us to do Appliance Repair in Sunnyvale? 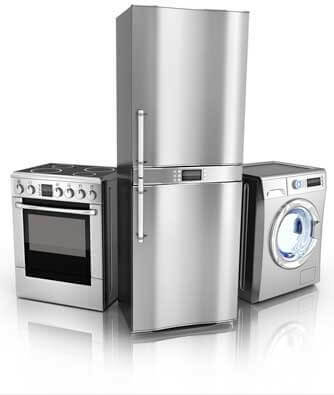 We are confident that we can give you the best appliance repair in Sunnyvale service possible. We have enough experience and understanding of all brands of kitchen and household appliances. No matter what appliance you have or what brand it is, we will be able to find the right parts for it and proper tools to fix it. Our technicians are factory trained and certified. They have the knowledge and skills needed to make your refrigerators, washers, microwaves, barbecues, etc. work. Also, they are polite and ready to please you, our customer. Customer service is a critical part of our company policy. You will be completely satisfied with our work! Also, our prices are very competitive, and we will work with you to make the pricing affordable for you. With us, you get the results that you deserve for a very reasonable price! We guarantee it! To make an appointment for appliance repair in Sunnyvale, please call us at 925-265-7782. Or you can fill out our short contact form. We will be happy to answer any of your questions and give you a free, over the phone estimate. Other services include refrigerator repair in Sunnyvale, washer repair in Sunnyvale, dryer repair in Sunnyvale, dishwasher repair in Sunnyvale, stove repair in Sunnyvale, range repair in Sunnyvale, oven repair in Sunnyvale, steam oven repair in Sunnyvale, microwaves repair in Sunnyvale, etc.